Once again, I tasted a large number of wines with proprietor Kevin Harvey and winemaker Jeff Brinkman. The Rhys 2012 Pinots are just as gorgeous from bottle as they were from barrel. As fabulous as the 2012s are, the 2013 are at least as good, if not better. While the 2012s are open and supple, the 2013s have a touch more energy, power and minerality. Readers who can find the wines should not hesitate, as these are quite possibly the best back-to-back vintages in Rhys’s short history thus far. It is impossible not to marvel at what Harvey and his team have achieved in just a few years. The Rhys Pinots aren’t just modern-day reference points for California, they are now among the greatest Pinot Noirs being made anywhere in the world. Alesia is the second label of Rhys. In the past, proprietor Kevin Harvey has made the Alesia wines only sporadically, when vintage conditions allow, but on my last visit, Harvey told me it now looks likely Alesia will become a permanent part of the stable going forward. That is great news for readers seeking entry-level options from the world-class team at Rhys. The 2012 Chardonnay Alder Springs is a pretty, soft Chardonnay to drink now and over the next few years. Pear, spice, apricot and floral notes shape the open, inviting finish. 88. A gorgeous, supple wine, the 2012 Pinot Noir Alder Springs is beautifully supple and expressive in the glass. Sweet dark cherries, spices, leather and menthol flesh out in an open, resonant Pinot to drink over the next few years. This is total class. 90. Tar, graphite, incense, scorched earth and blue/blackish fruit are all vivid in the glass as the 2011 Syrah Alder Springs shows off its considerable personality. 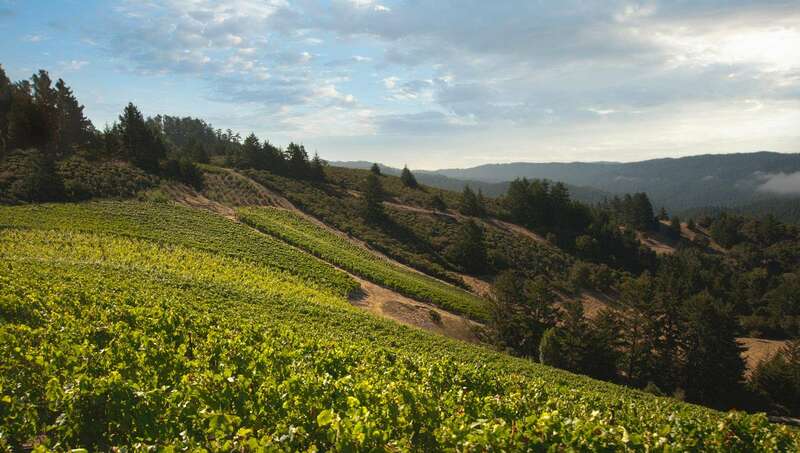 Deep and intense to the core, the 2011 shows why this Mendocino site is so revered for Syrah. The 2011 was done with 40% whole clusters and aged in neutral oak. 90. The 2012 Chardonnay Alpine Vineyard is bright and finely sculpted to the core. Lemon oil, white flowers, crushed rocks and white pepper are all finely knit in this vibrant, utterly impeccable Santa Cruz Mountains Chardonnay. There is plenty to look forward to in the Alpine, a Chardonnay built on precision and class. 93. The 2012 Chardonnay Horseshoe Vineyard is often a bit slow out of the gate, as it is once again today. Pear, almond, spice and savory herbs notes meld together in a soft, inviting Chardonnay that emphasizes texture above all else. Hints of Burgundian-like reduction linger on the bouquet, so the 2012 needs a lot of air to unwind if opened young. Ideally, the wine is best left alone in the cellar for at least another year or two. Proprietor Kevin Harvey adds that the Chardonnay fermentations were the longest ever in 2012, which partly explains the wine’s reticence. 91+. Crushed rose petals, mint, sweet red berries and cinnamon are some of the many notes that meld together in the 2012 Pinot Noir San Mateo. A wine of precision and nuance, the 2012 impresses for its balance. Sweet and savory notes from the inclusion of 60% whole clusters add lift on the finish. In 2012, the San Mateo is a blend of 60% Family Farm, 30% Horseshoe and 10% Alpine. 92. The 2012 Pinot Noir Family Farm Vineyard is wonderfully supple and radiant, with the fruit front and center and aromatics more in the background. Silky tannins support a core of dark red stone fruits, spices, new leather and pine. I expect the 2012 will provide a wide and relatively long drinking window of pure pleasure. The 2012 was done with 60% whole clusters, all beautifully integrated, even at this early stage of the game. 93. Orange rind, graphite, pine, mint and crushed rocks jump from the glass in the 2012 Pinot Noir Home Vineyard. One of the more vibrant, chiseled wines in the range, the Home will benefit from further time in bottle. The translucent, crystalline finish is a thing of beauty. In this vintage, the Home was done with 100% whole clusters. Quite remarkably, the Home Vineyard lies just 400 yards away from Family Farm, separated by the San Andreas Fault, yet the wines from these two sites are completely different. 94. The 2012 Pinot Noir Bearwallow Vineyard is another wine with great fruit intensity, not unlike the Family Farm, but with darker fruit and more exotic, spiced overtones. Black cherry, plum, cloves, lavender and violets meld together in a radiant, beautifully expressive wine loaded with intensity and pure class. Underlying veins of minerality are present, but they are totally covered by the pure intensity of the fruit. The Bearwallow was vinified with 20% whole clusters. 94. An utterly magnificent wine, the 2012 Pinot Noir Skyline Vineyard is even more compelling from bottle than it was from barrel. Pine, menthol, dried red cherries and rose petals meld effortlessly into a core of a dark, red-toned fruit as this complex, kaleidoscopic wine shows off its pedigree. The Skyline plays across all dimensions, with expressive, high-toned aromatics and deep layers of fruit supported by insistent structure. Hints of leather, smoke, mint and licorice add nuance on the chiseled finish. This is a magnificent showing from Rhys. The 2012 Skyline was vinified with 100% whole clusters. 95. Dark red and plum notes meld into spice and floral notes in the 2012 Pinot Noir Swan Terrace. One of the more supple, accessible wines in the range, the 2012 is pure sensuality in the glass. The 100% whole clusters are practically buried by the intensity and radiance of the fruit. This is the only 2012 at Rhys that showed better from barrel than it does today from bottle. 93. The 2012 Pinot Noir Alpine Vineyard is one of the more reticent, backward wines in the range today. Firm tannins provide the underlying framework for an impeccable, pure Pinot long on crystalline energy and intensity. The flavors really pulsate here, while expressive floral and savory overtones add an attractive upper register. This is a rare 2012 that is going to need at least a few years in bottle to show at its best. The Alpine was done with 50% whole clusters. 94+. Racy and explosive to the core, the 2012 Pinot Noir Horseshoe Vineyard hits the palate with a compelling melange of dark red and black stone fruits, cloves, new leather and menthol. Here the style is all about voluptuousness and texture, two qualities the 2012 has in spades. The Horseshoe was fermented with 20% whole clusters, but they are barely evident given the wine’s pure intensity and volume. 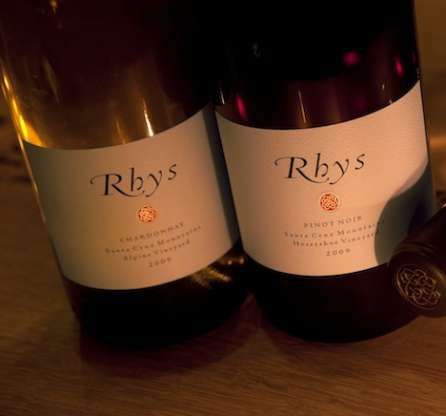 This full-bodied, exceptionally balanced Pinot from Rhys is striking from start to finish. 94. Crushed rose petals, mint, flowers and sweet red berries lift from the glass in the 2013 Pinot Noir Family Farm Vineyard. Soft and accessible, the Family Farm comes across as delicate, aromatic and finessed. Bright red strawberry and raspberry linger on the nuanced finish. Today, the Family Farm looks like it will drink very nicely pretty much upon release. It will be interesting to see what the next year brings. (91-93). The 2013 Pinot Noir Home Vineyard stands out for its energy, tension and pure class. Red stone fruits, crushed rocks, cranberry, cinnamon and white flowers are all laced together in a precise, finely chiseled Pinot with a bright future. (92-94). Today, the 2013 Pinot Noir Bearwallow Vineyard is much more floral and lifted than the 2012 tasted alongside it. Distinctly red-toned fruits, meld into pine, mint and cinnamon in a weightless, airy Pinot supported by firm yet well integrated tannins that give the wine much of its delineation. This is another 2013 that is going to be fascinating to follow. (92-94). An addition to the range, the Pinot Noir Bearwallow Vineyard Porcupine Hill emerges from a new, high density planting Rhys carried out in 2010. Deeper and texturally quite a bit more intense than the straight Bearwallow, the Porcupine Hill is laced with considerable depth, pliancy and pure resonance. This is a super impressive effort, especially considering the vines are just three years old. Given the results here thus far, I will not be surprised if Rhys takes a similar approach with other new plantings. Readers who are on the Rhys mailing list will not want to miss the superb debut vintage of the Porcupine Hill. (92-95). The 2013 Pinot Noir Skyline Vineyard will dazzle readers with its extraordinary bouquet and overall class. Orange peel, rose petal and exotic spices open up first, leading to an exquisite, silky core of fruit buttressed by lively saline undertones. Utterly magnificent and complete, the 2013 Skyline is shaping up to be one of the great wines of the year. Beyond that, it also has the potential to become a modern-day classic in California Pinot Noir. This is a stunning effort from proprietor Kevin Harvey, winemaker Jeff Brinkman and the entire team at Rhys. (95-97). The 2013 Pinot Noir Alpine Vineyard is deeply marked by its energy and structure. Today, the 2013 is quite backward yet at the same time, the wine’s pedigree and potential are evident. Underlying beams of acidity, minerality and tannin give the 2013 its drive, while savory overtones from the 50% whole clusters add nuance. If that sounds appealing, believe me, it is. (94-96). The 2013 Pinot Noir Swan Terrace is all about sensuality. Dark red and blue-toned fruit, spice and mineral notes are seamless in the glass. Silky tannins add to an impression of total finesse and harmony. Tasted next to the 2012, the 2013 has a bit less immediate appeal but a greater sense of minerality and precision. Both are drop-dead gorgeous beauties. This is another exceptional wine from Rhys. (94-96). Dark red cherries, plums, crushed rocks and blood orange are all beautifully delineated in the 2013 Pinot Noir Horseshoe Vineyard. In this vintage, the Horseshoe is intensely mineral, precise and nuanced, with magnificent transparency and tons of pure class. (93-95). The 2013 Pinot Noir Bearwallow Vineyard is gorgeous. Dark red cherries, plums, mint, cinnamon and pine lift from the glass. Silky tannins wrap around a plush core of fruit in a supple, accessible Pinot that will drink well early, but also has the stuffing to age. Re-tasted: October 2014. (91-93). The 2013 Pinot Noir Bearwallow Vineyard Porcupine Hill impresses for its crystalline purity, energy and finesse. Dark red cherry, plum, graphite and orange rind notes all sizzle with notable precision and focus. The weightless, expressive finish is a thing of beauty. Porcupine Hill is a section within Bearwallow planted with high density spacing in 2010. There is so much to look forward to here. Re-tasted: October 2014. (92-94). A rush of cranberry, blood orange, white pepper and spice notes race across the palate in the 2013 Pinot Noir Family Farm Vineyard. Pretty floral and spice overtones from inclusion of 60% whole clusters add he final layers of complexity. Re-tasted: October 2014. (91-93). Precise and crystalline, the 2013 Pinot Noir Home Vineyard is another wine built on razor-sharp delineation. Dark red stone fruits, mint, crushed rocks, pine and cloves blossom effortlessly in the glass. The Home Vineyard was vinified with 100% whole clusters, but there is no sense of steminess at all, rather it is the pure texture of the fruit that dominates. Re-tasted: October 2014. (92-94). A deep, dense wine, the 2013 Pinot Noir Skyline Vineyard wraps around the palate with gorgeous fleshiness and pure resonance. Crushed flowers, cinnamon, cloves and new leather all blossom in the glass. Today, the 2013 conveys an impression of real gravitas and depth on its dark red and purplish-toned fruit. Over the last few months the Skyline has begun to shut down quite a bit, which makes it hard to fully appreciate now, but is a very good sign for the future. Readers will have to be patient, though. The 2013 is clearly built for the cellar. This is another wine where the 100% whole clusters are barely noticeable, if at all. Re-tasted: October 2014. (94-96+). The 2013 Pinot Noir Alpine Vineyard is one of the more exuberant wines in the range. Dark red and purplish fruit meld into cinnamon, cloves, pine and leather. The 2013 impresses for its resonance and volume. Bright saline notes from the 60% whole clusters add energy and attractive aromatic nuance, but this remains a fairly overt Pinot built on fruit and textural richness, all within the context of a vintage that yielded energetic, vibrant Pinots. Since I first tasted the Alpine in June 2014, proprietor Kevin Harvey chosen to bottle a few barrels separately in a special Hillside bottling, which has resulted in two very different expressions of this site. Re-tasted: October 2014. (93-95). The 2013 Pinot Noir Alpine Vineyard Hillside is a big step up from the straight Alpine. Here the fruit is less overt, while floral and mineral notes take on greater prominence. Voluptuous and totally spherical, the 2013 hits all the right notes. The huge, structured finish suggests the 2013 is going to need quite a bit of bottle age to fully come together. This is one of the most striking, utterly magnificent wines I have tasted from Rhys. Tasted next to the Alpine Vineyard, the Hillside bottling offers a touch more minerality and structure. Re-tasted: October 2014. (94-97). This is a great showing from the 2013 Pinot Noir Swan Terrace. All the elements of the Rhys house style come together in a lifted, precise Pinot that dazzles for its energy and tension. With time in the glass, the wine fleshes out beautifully. Hints of orange peel, spice and dark red cherries wrap around the sculpted, super-expressive finish. The 100% whole clusters are evident, but impeccably balanced. Re-tasted: October 2014. (95-97). The 2013 Pinot Noir Horseshoe Vineyard is gorgeous, but it is also less immediate than many other wines in the range. In 2013 the Horseshoe impresses for a brilliant combination of fruit, aromatics, acidity and overall structure. Violets, lavender, mint, white pepper and cranberry are some of the many notes that inform the striking finish. The Horseshoe was vinified with 20% whole clusters. This is going to be a fascinating wine to follow over the next decade plus. Since I last tasted it, the 2013 has blossomed beautifully, and that is after a few barrels were selected to produce the Hillside bottling. Re-tasted: October 2014. (94-96). A wine of contrasts, the 2013 Pinot Noir Horseshoe Vineyard Hillside is feminine and gracious at the outset, yet also possesses magnificent structure. There is a weightless elegance to the 2013 that is impossible to miss. Tasted next to the straight Horseshoe, the Hillside is not markedly different or better, but that may really be more a reflection of just how fabulous the straight bottling is! The crystalline, pulsating finish makes it hard to resist a second taste. This is another wine of total allure and sensuality from Rhys. The 2013 Horseshoe Hillside was done with 20% whole clusters. Re-tasted: October 2014 (94-97).